So sorry I've been gone for so long. Here's my excuse. I never thought it possible, but there is actually a medical condition stranger than you, dear MonSter: Miller Fisher Syndrome. On Wednesday, October 31, my son awoke with double vision, numb fingers and an overall sense of unbalance. He persevered, though, and headed out to the bus stop. I uttered a little prayer of positive energy his way and went about my morning chores. Thirty minutes later, I was happily tucked into some NaNoWriMo preparation for day one on November 1 and sipping a lovely cup of Yogi vanilla chai. My first thought was that it was my Mom confirming our bowling date. But, when I looked at the phone screen, I saw that my son's friend was on the calling end. What!? Why was Zach calling me? Did my son forget his phone? I answered to hear my son reply. His vision was worse and he feared falling in the crowded halls halls. His right hand was too numb to grasp a writing utensil and his head was pounding. My mental check list working over time, I assured him I would there within the hour. We went. I paid the exorbitant ER fee, which is really just bubble gum after our rodeo ride of a week in the hospital. But, we got a full service ride: C-scan, EKG, neurological exam, eye exam, and full-out blood work up. Six hours later, when I refused to have him admitted (Please, do not judge. I had my reasons. ), we began our journey home. We might have had no answers, but at least we had some space to think. The next day we re-visited his pediatrician (in person this time) and discovered h had indeed had a sinus infection, but the C-scan results revealed another issue. On phone call away, we secured an appointment with a pediatric neurologist for the following afternoon. That apportionment was the security I needed, as well as a reserved bed in the hospital. From previous experience, I knew we had to play the system in order to receive expedient results. If nothing else, dear MonSter, you have given me keen insight into the workings of the medical world. Within an hour, my son had his own team of doctors/student-doctors, nurses, and medical researchers. The anticipated MRI was scheduled and we set up camp for what I expected to be a day or two. Exactly one week later, we came home. He missed his planned overnight college visit to Carnegie Melon University (we have since re-scheduled); endured days of ridiculous pain and discomfort; and missed more school (this has been a horrible senior year); but discovered that the MonSter has not infiltrated his life. 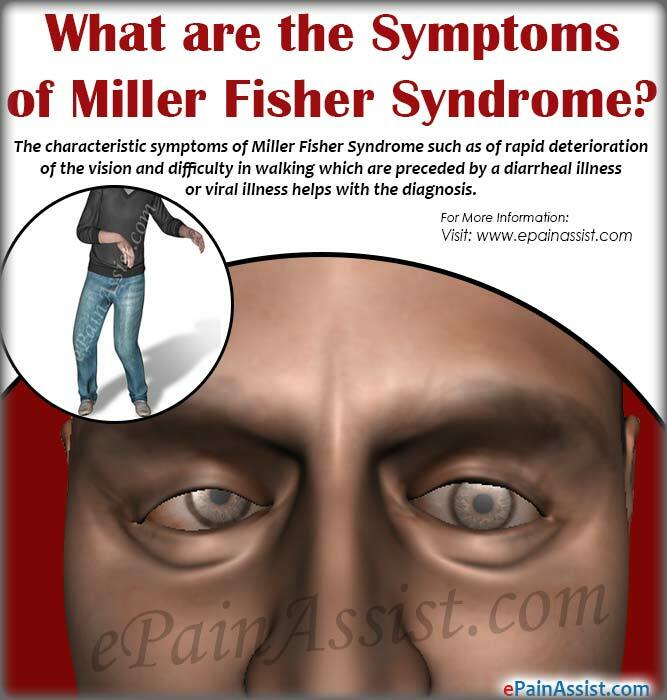 Miller Fisher, though rare, is not a life-threatening condition. It may take weeks, or even months, but once it is gone, it is (hopefully) gone. The biggest mystery is the cause. Research repeats that "symptoms may be preceded by a viral illness." The only documented illness we can confirm is the sinus infection we weren't even aware of until all this began. We are home now and looking forward to a complete recovery an possibly a home-bound teacher until he is more confident with his own physical ability to exist in public. As for me, I am waiting for the other foot to drop. We all know that stress affects the MonSter oft times with severe intensity. A seven day hospital stay is stressful indeed. Although he had the attention of a string of round the clock nurses, I provided constant attention. I think I only left his room maybe five times during our stay-cation. Once to drive home for clean clothes and his laptop; Four times to either take a walk around the ward or hunt down a drinkable cup of coffee. The bottom line is that it was not about me. I didn't have time to be ill affected. My son needed me and I would have crawled to him. That is what most people do not understand about MS. No one has time in this world for the wasted effort it requires. And no matter how sincere the concerns of others may be, there is no one else who can take care of us. We may not be alone in the Warrior World, but we're certainly alone in our personal needs. I hate how negative that sounds, but it is so, so true. MS has taken away much of my independence. It has taken my much loved job. It has taken my physical abilities of jumping, running, and walking. MS has robbed me of sporadic travel and spur-of-the-moment decisions. The MonSter refuses to allow me to do many things I once revered. But, it hasn't taken my son. I may no longer be able of actually swimming, but we can tolerate the Miller Fisher as long as we are on shore and together. Happy Veteran's Day to all those who serve(d).